Can the LaserPING sensor be turned sideways or upside down and read properly? The forum's shortest answer ever! Oh, wait, has someone ever said, "No"? I'm less conversant in my new, older age, I suppose. Heading towards the land of curmudgeons, one step at a time! 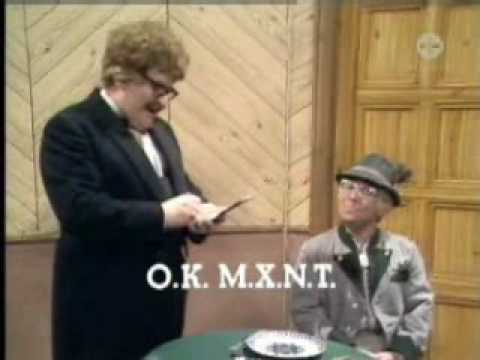 Benny Hill once did a skit where he was trying to order breakfast in a Germany restaurant and the dialog was conducted using letters and numbers for communication. Benny; F U N E M? Benny; F U N E X? Benny; F U N E M N X? At that point Benny broke into English. Not to worry Ken, I'll keep an open seat for you here at the bar. Happy hour starts at four -- Central time, so better on ya -- and the screwdrivers and bloody marys are half off. There's also a killer golf video game in the corner and darts. Heading towards the land of curmudgeons, one step at a time! Yeeess, Ken! Thaaat's it! Come over to the dark side! We have bran muffins! I'm on my way, Chief of Curmudgeons! I might even see you this summer for the BlocklyProp vs. Spin ASV man-on-man challenge. Still thinking that through, and trying to figure out if I really need to account for the fact the earth isn't flat and do all that math in BlocklyProp. No, you do not. We're talking about tens of meters here, not hundreds of kilometers. Keep it simple! Thanks for that paper Phil. - use coordinate geometry to find bearing and distance between the points. Let's either continue the discussion there, since it's more relevant to that thread, or start a new one.